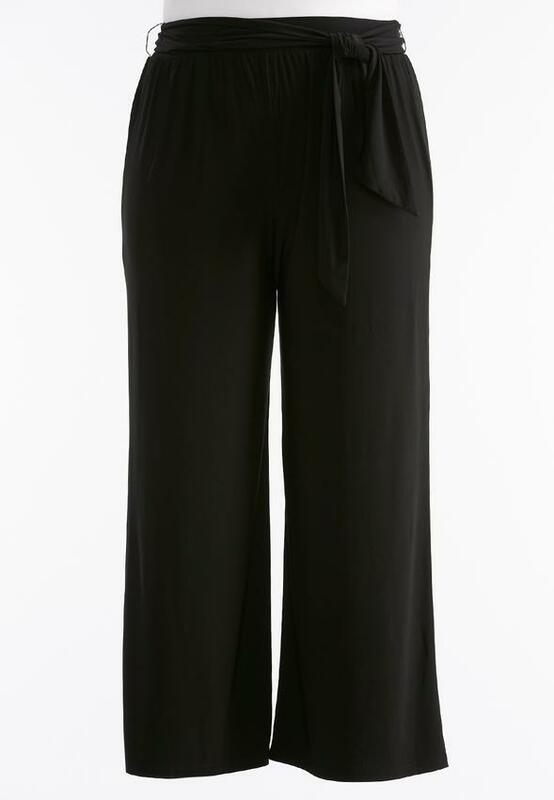 Expand your style spectrum in these pull-on palazzo pants, featuring a removable tie belt, super comfy knit fabrication with a touch of luster for a polished finish. 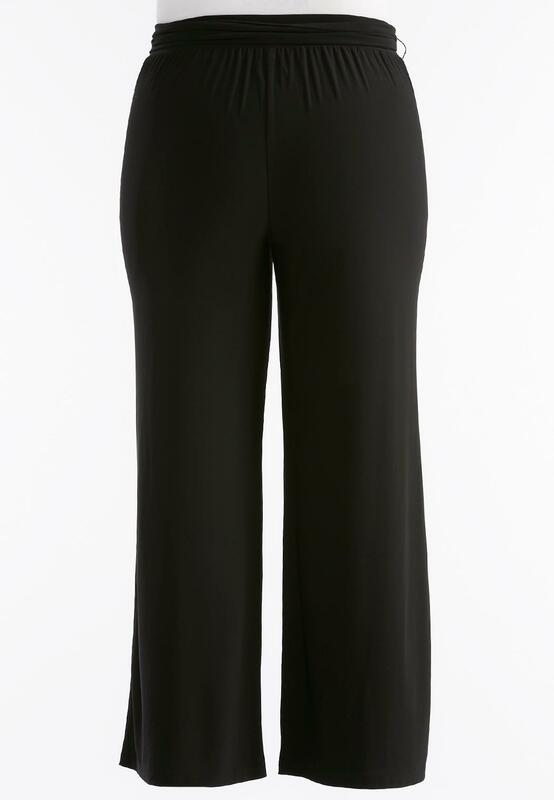 I tried on these pants in the store, and they looked great on but they came in a bigger size so I was going to come home and order them because they didnt have them in store?. I was going to add them to my cart so I could order them before I leave for school again.Plzzzz bring them back alll sizes!!!!! Specifically 26/28?? 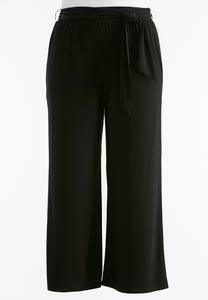 I love these pants and I have every color except for the black!!! Please restock these pants again so I can purchase the black pair before fall stuff is brought in please!!! !